Josh Heath joins the #YearOfTheVet family to share his journey in, through, and out of the service—into his current day-to-day life. Josh is an Entrepreneurial Peacebuilder, a Freelance Writer and Editor at High Level Games, Game Developer, and this summer he launched his company, Reach-Out Roleplaying Games, as well as his website www.keepontheheathlands.com. Josh and I talk about how setting small realistic goals has been an important tool in helping get to his next highest point. 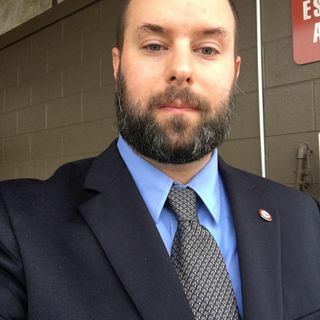 We talk ... See More about his path of advocacy, not only for student veterans, but also for an under-recognized religious culture, Heathenism.